Avoid Looking Sloppy: Are You Guilty Of Making These 7 Outfit Mistakes? We all like looking and feeling good. We try our best most days, but on others we tend to be a bit lazy and think we can get away with a few of the following mistakes, especially #5. Looking fresh and polished can be quite easy if you simply make a few small adjustments to your routine. Below we list a few things that you should avoid if you want to show your best self. 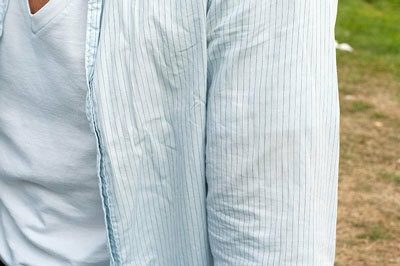 Would you leave the house in stained, muddy clothing? I don’t think so.. So why do you leave the house with dirty, unpolished shoes? Do a quick wipe before you leave the house to prevent dirt build-up. Your shoes and boots should be polished often to maintain softness and ease of movement of the leather. You should condition your leather shoes every 20 wears or so, to keep them in tip-top shape. Taking your shoes to the cobbler doesn’t have to be a burden on your schedule. Have your shoes polished and conditioned with Mr. Timesaver. Learn more about our shoe services here. 2. 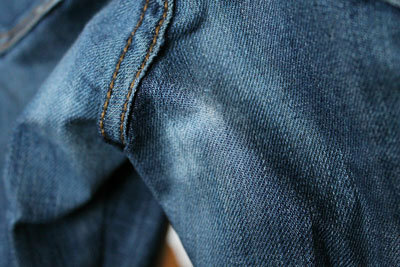 Wearing Clothes With Minor Damages Such as Tiny Rips, Holes, Frays. The best way to get the most our of your favorite clothes is to attack the first signs of wear and tear as soon as you notice them. Small hole(s) in the armpit area of your favorite blouse or in your pants between the thighs? Take them to a tailor! They should be able to repair the small damages before the items are unsalvageable. Bad zipper? Replace it! Buttons falling off? Have them re-sewn. We (Mr. Timesaver) also offer this service. Including pick-up and delivery right at your door. You work hard. We get it. Ironing is not fun and takes a lot of your time. If your image is something that is important in your day-to-day life, because of your job for example, you may want to put a bit more effort into your clothes. The easiest way to tackle wrinkles is to prevent or at least minimize the chance of it happening in the first place. Read your labels well to make sure you wash and dry at the correct temperatures. Another thing you can do is to hang up your shirts and blouses immediately after they dry. Some clothes still need to be ironed regardless of how you wash and dry them. It may be easier to use a service like Mr. Timesaver. We pick-up, clean, press and/or fold your items, and deliver them back to you. All for about the same price you would pay at your local dry cleaner/laundromat. Sometimes the damages go unnoticed until it’s too late. Small holes/rips in your jeans where your thighs rub together can turn into embarrassing accidents. This happens faster to the clothes we love most, because we tend to wear them the most. Wear and tear is normal with clothing. They can’t last forever. Consider giving away clothes that are still wearable to charity, if not, it may be time to say good-bye. People tend to notice things. Especially lint and animal fur on your clothes. It’s even worse when you wear mostly dark clothing. Just keep a lint-roller handy. If you don’t have a lint-roller on hand, some tape will do just fine. If you have pets, such as cats, you should leave a few lint-rollers in easy to find spots, such as your car, bathroom or purse. Hem lines should not touch the floor. They may get dirty and will also become damaged easier and faster. Bring them to your local tailor or have Mr. Timesaver pick them up for you. Just mark the correct length with pins and we’ll shorten your pants for you. Learn more about our repair service here. Footwear is extremely important. 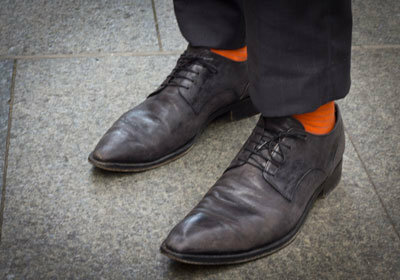 Your shoes impact your walk, your posture and not to forget how you present yourself. Whether they’re dress shoes, boots, stilettos or your favorite pair of loafers, their lifespan decreases significantly the more you wear them. Every year, millions of shoes get thrown away, even the “all-time favorite” pairs. Well this is exactly where a cobbler comes in. What most people don’t realize is that a professional shoe and boot repair service can help restore your favorite pair of shoes and boots, thus making them last longer. It may seem old-fashioned, but trust us: your feet and wallet will be thankful for the special care. Need more reasons to use Mr. Timesaver? 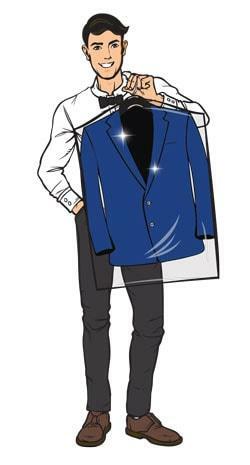 There are many benefits to using a dry cleaning delivery service as you may have read in one of our previous blogs, but why should you use Mr. Timesaver instead of other delivery services? Well, there’s no other like us. Check out the next points to find out more about why we’re the better choice for you. Find out why you should use Mr. Timesaver here. Spring Cleaning? Don’t Forget these 6 things. On Your Mark, Get Set, Go!